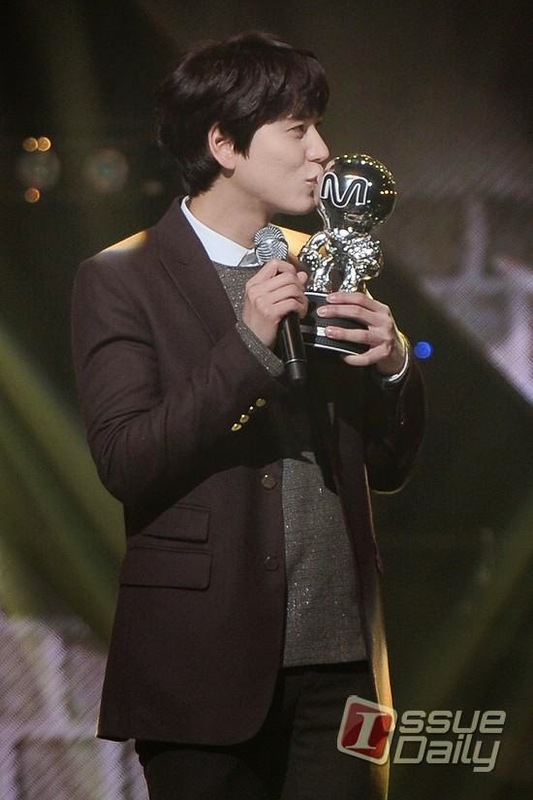 Super Junior Kyuhyun is still making a successful solo debut by winning his first music show trophy with 'At Gwanghwamun' from M!Countdown today. Kyuhyun and AOA are the top two this week and the total score gives Kyuhyun his first win, making the singer teary eyed while doing his thank you speech. He said, "Members, ELF, I got no.1".